AppCreator24 allows you to create free, easily and without programming knowledge your native application for Android phones and tablets. 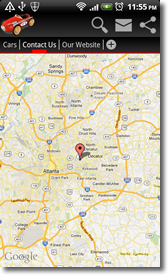 The application displays information about your products, your company, offices, etc. .. Just need to enter the information into our wizard. Only need to download your application once and all changes you make from your administration area will be reflected immediately. You can post your application on Google Play, on your website, your blog, etc..
You can send messages(notifications) directly to users' mobile. 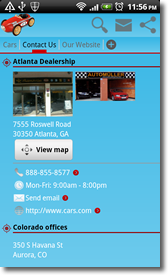 This allows you to deliver promotions and news to your customers or users in an immediate way. The application that you will create with AppCreator24 will display your contact information(also in Google Maps), your website, your products, etc. Also you can design your own sections as you wish. You can send messages directly to mobile phones of all your users with information about your services, promotions, news, etc. Messages will be sent as notifications and you will have an immediate response. You can put a link to your application on your website or blog and thus provide a more complete service to your users or customers. You can earn money placing ads on your app from your management area. 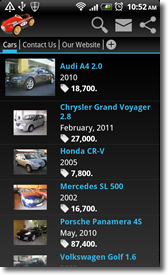 Also you can earn money making apps for your customers. You will also have updated statistics about installs and use of your Android application. Why do I need an Android app? Android applications allow users to access faster than web pages to the services and products of your company. Users can install your application on their phone or tablet and, thus, will have a much more direct access to your business. And most importantly, you will have also a much more direct access to your users because you can send directly to their mobile, at any time, information, promotions and news that you think of their interest. You can give more reputation to your website or blog by putting a link to your app. You can also post the application in Google Play. Currently Android is now the most widespread among phones and tablets and also is the system that currently has more growth, so every day there are more customers who are looking for your Android application. With AppCreator24 you can create your business or entertainment application for Android without any programming knowledge. From your private area you enter the contact details of your company, post your products, choose the design, create the sections you need,.. Unlike most other similar services, with AppCreator24 you will create a real native Android application and not just a mobile version of your website. By creating an authentic native Android application you can, for example, send notifications to mobiles and tablets users with the information you think is suitable. When will be prepared my app? Immediately. Unlike other services we prepare your application at the moment so that you can download as apk file whenever you need. Where can I publish my application? You can post your application on Google Play which is where most Android users seek applications. You also get a link to the application that you can put on your website or blog. You can also send this link to your customers or friends by email, facebook, etc. 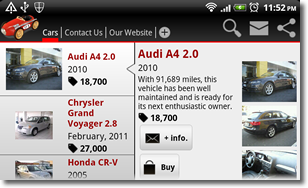 From this link users can install your application on their Android phone or tablet. If I make a change to the application, users must reinstall it? No. Users only need to install once the application and the changes that you make from your private area, will be reflected in the application immediately. How I can make money with my app? 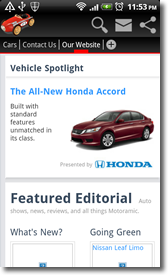 From your management area there is a specific section so you can put advertising on your app. You can set Admob or Appnext ads in your app and 80% of users will see your ads. You can also publish your app in Google Play and, thus, increase visits to your ads. Another way to make money is making apps for your customers. You'll have a tool to manage your customers. Can I create apps for other people or companies? Yes. AppCreator24 fully supports the apps creation for your customers. In your control panel there is a section to manage your customers. Prices for creating apps for your clients are the same as standard prices. You're free to charge your customers the amount you consider convenient. You can create all apps that you want totally free. Our company is dedicated to the Android programming since 2010 and is now fully focused on our new AppCreator24 Project. We are specialized on Android and want to take your business to the millions of Android phones and tablets worldwide.